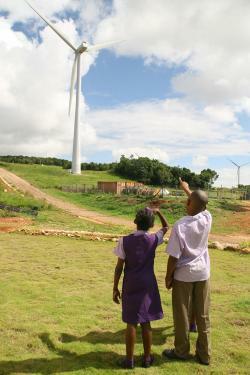 As the search for affordable energy solutions continues, Wigton Windfarm Limited, a subsidiary of the Petroleum Corporation of Jamaica (PCJ), is reporting encouraging findings from a recently completed Wind Resource Assessment, which identified four locations suitable for wind energy development with a combined potential generating capacity of 212 million KWh annually. The study, which assessed 24 prospective sites across the island, highlighted four locations which were found to have “excellent energy yield (each) featuring more than 5,300 MWh/a”. If these sites were exploited, it could reduce national oil consumption by at least 124,706 barrels per year which would trim close to J$ 1.27 billion off the annual energy bill. The sites, which have been recommended for further development, are: Winchester at the foot of the John Crow Mountains in St. Thomas, Kemps Hill in Clarendon and Rose Hill and Top Lincoln in Manchester, both of which are close to Wigton’s existing facilities. Of the proposed areas, Rose Hill had been identified by Wigton as a location for potential expansion from as early as 2006. The area will be the site of a 24 MW wind farm facility which formed the basis of Wigton’s submission to the Office of Utilities Regulation (OUR) in response to a Request for Proposals for 115 MW of electricity generation capacity from renewable energy sources. In addition, the study gives strong endorsement to Winchester, describing that location as “by far the best wind site surveyed so far”. 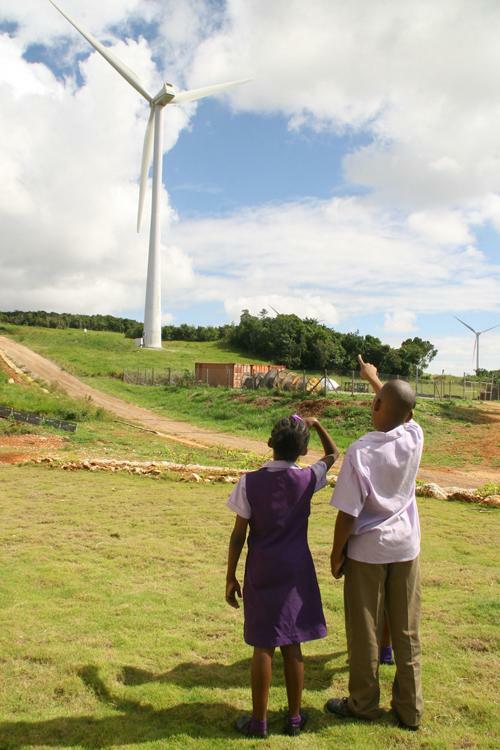 The Wind Resource Assessment was carried out as part of a Wind and Solar Development Programme which is being implemented by Wigton under a funding agreement between the Inter-American Development Bank (IDB) and the PCJ. The Programme aims to increase Jamaica’s utilisation of renewables by developing photovoltaic and wind power plants to supply the national grid. Under the Wind Assessment, extensive data was collected during a nation-wide wind measuring campaign which was conducted between November 2011 and January 2012. General Manager of the Wigton Windfarm, Earl Barrett said the information garnered from the study is critical as the push continues to develop Jamaica’s fledging renewable energy industry. “With our current focus on utilising our natural resources to address our energy challenges both the government and the private sector need credible information to make development and investment decisions about viable energy solutions,” he explained. “The national Wind Resource Assessment will be a great resource to the majority of interests in Jamaica’s Energy Sector, but we hope it will be particularly useful for potential investors,” the General Manager said. “Among other things, the study highlights some of the most advantageous locations for wind energy development and we hope this will pique the interest of commercial players in the local and overseas energy industries,” he added. The Wind Assessment Report is now available on the PCJ’s website www.pcj.com. Interested persons can also visit the PCJ’s library at 36 Trafalgar Road to access the report.